Father O’Reilly served as Pastor of St. Patrick’s Roman Catholic Church in Harrisville, RI from 1990 until his retirement in 2013. He devoted his life to the priesthood, counseling and education since he was ordained. He continues to minister as needed and resides in Pawtucket, RI. 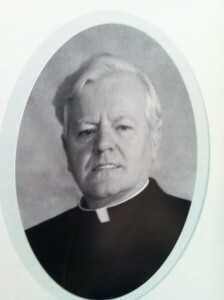 The Reverend Bernard M. O’Reilly, Pastor Emeritus of St. Patrick Parish, Harrisville, RI, was born the third youngest of a family of nine siblings–six boys and three girls—to Myles and Bridget (McDermott) O’Reilly in County Cavan, Ireland. 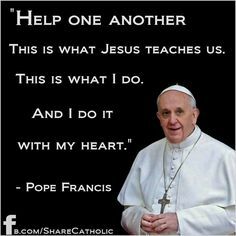 He did undergraduate and graduate work in philosophy and theology in Ireland and was ordained to the priesthood there on June 8, 1969 for the diocese of Providence arriving at his first assignment at Assumption parish in Providence, in September of that year. Subsequently, he served in a number of parishes throughout the State including: St. Edward, Branch Avenue, St. William, Warwick, St. Bernard, North Kingstown and St. Lawrence, North Providence. He was naturalized as a US citizen on October 8, 1989 and continues to hold Irish citizenship. In September 1990 he was appointed pastor of St. Patrick where he remained for the next twenty-five years, retiring from that position on June 2013. Over the years Fr. Bernie pursued advanced degrees in English Literature (M.A. ), Psychology & Counseling (M.A., C.A.G.S. }, Biblical Literature & Theology (M.TH, D.Th.) and Philosophy and Humanities (C.A.G.S., PH.D.). His thesis in psychology and counseling developed a Freudian approach to group counseling; in English Literature he studied the evolution of the Victorian novel as portrayed in the works of Charles Dickens, James Joyce and Virginia Wolf; his doctoral dissertation in theology focused on a Collaborative Approach to Ministry (a model that anticipated current clergy shortage) and his doctoral thesis in Philosophy and Humanities focused on the Impact of TV Technology on the Family Life. He was published in Aquila: Journal of Pastoral Theology, St Mary’s Seminary Publications and Dissertation Abstracts International. In addition to his pastoral ministry and scholarly pursuits, Fr. Bernie taught philosophy and theology at Aquinas College, Newton, MA, Salve Regina University and Providence College in RI and, for a brief period, taught English as a second language at Dorcas House in Providence. He offered individual, marriage and family counseling in parish assignments and for some time at the East Bay Mental Health Clinic and at the Adult Correctional Institutions in RI. He founded the Clan Na Gael Society of RI in 1981 while serving at St. Bernard in Wickford. In the Ken Dooley drama–The Murder Trial of John Gordon– Bernie played the role of Fr. John Brady, the priest who administered last rites to Gordon before he was hanged on February 14, 1845. A recent Irish immigrant, Gordon was falsely accused of murdering Amansa Sprague, owner of the print mills in Cranston, on December 31, 1843. The play generated such interest among Rhode Islanders that it ultimately led to a pardon for the innocent John Gordon. As a young student in Ireland, Bernie played Gaelic football and rugby at all levels during his high school, College and Seminary years, acted in school plays and sang in supporting roles; his final appearance was in a production entitled Lilac Time by Frans Schubert. He continues to hold a keen interest in Irish, English and American sports as well as in music and theatre. He is an avid supporter of Pawtucket and Boston Red Sox, Bruins and Celtics and, of course, the Patriots. While Fr. Bernie has retired from administrative duties, he continues teaching as an adjunct professor of theology at PC, assists at St. Teresa’s, Pawtucket, St Margaret’s, Rumford; celebrates Mass, St. Mary’s of the Sea, Prudence Island (summer months) and at the Fogarty Centre in Pawtucket. Meanwhile, he hopes teach Gaelic classes in the near future at a time and place to be announced. While his retirement schedule seems busy, he will have ample opportunity to travel, visiting with family and friends in Ireland and elsewhere. He now resides in Pawtucket among new neighbors, and hoping to run into old friends in familiar places.